Rant Therapy | I would tell you how I feel, but I'm kind of saving it for a mental break down. You are here: Home	/ Rant Therapy | I would tell you how I feel, but I’m kind of saving it for a mental break down. 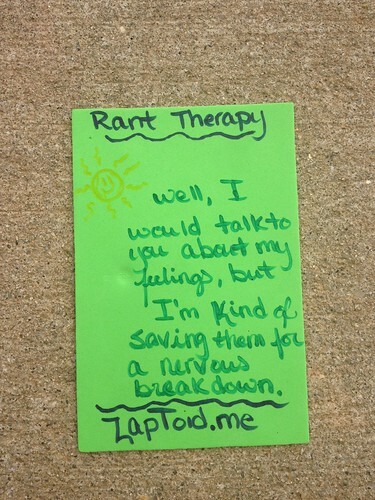 Rant Therapy | I would tell you how I feel, but I’m kind of saving it for a mental break down.